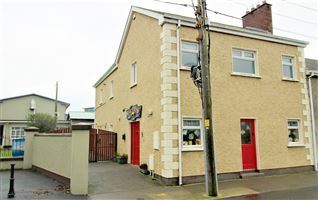 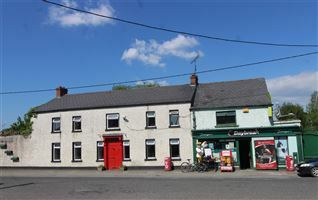 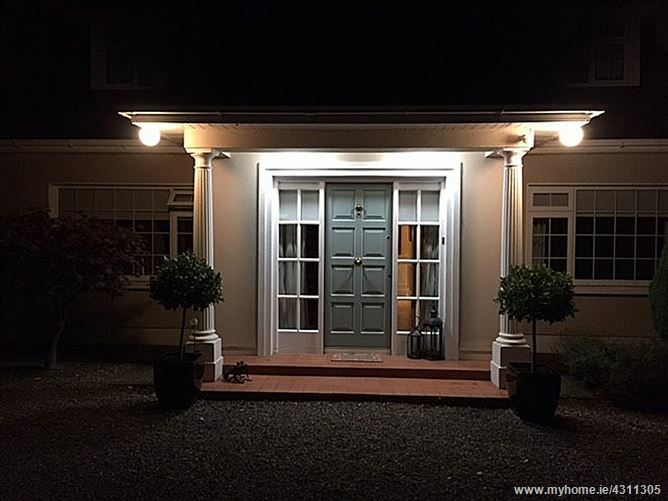 This impressive dormer bungalow which is set beautifully in tranquil surroundings just minutes from Dundalk and the M1 Motorway, enjoys spectacular views of the surrounding countryside. 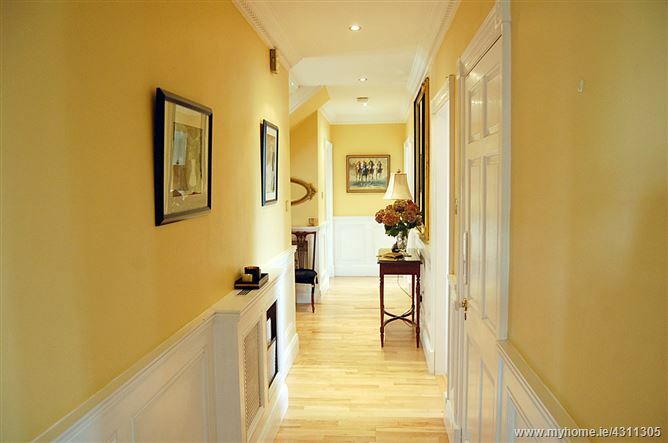 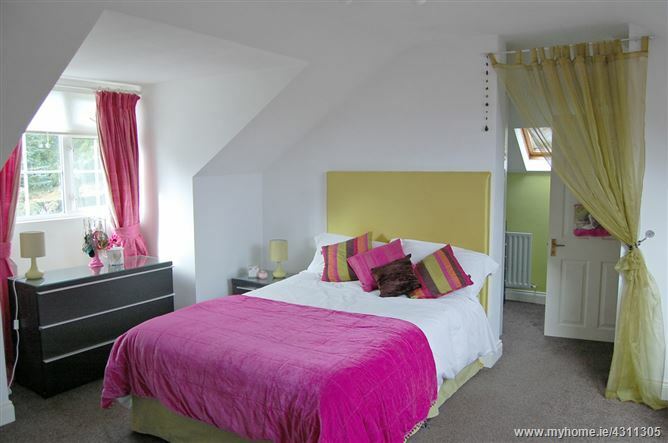 Accommodation is tastefully presented and incorporates both traditional and contemporary décor. 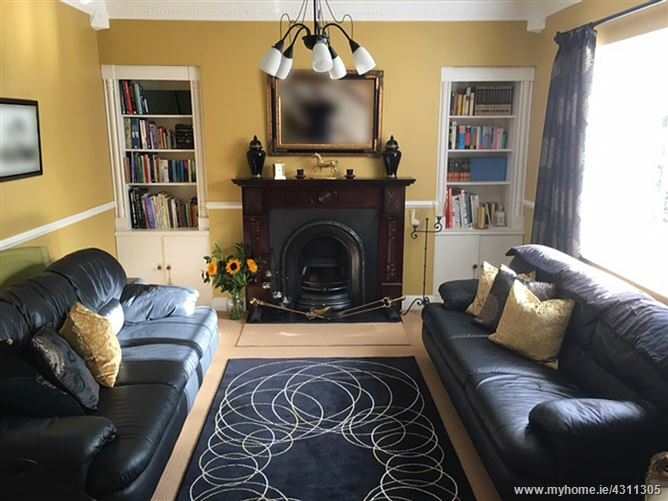 The ground floor boasts a spacious family layout: A welcoming spacious entrance hall with elegant panelling, solid maple flooring and double doors leading to a cosy sitting room with feature fireplace. 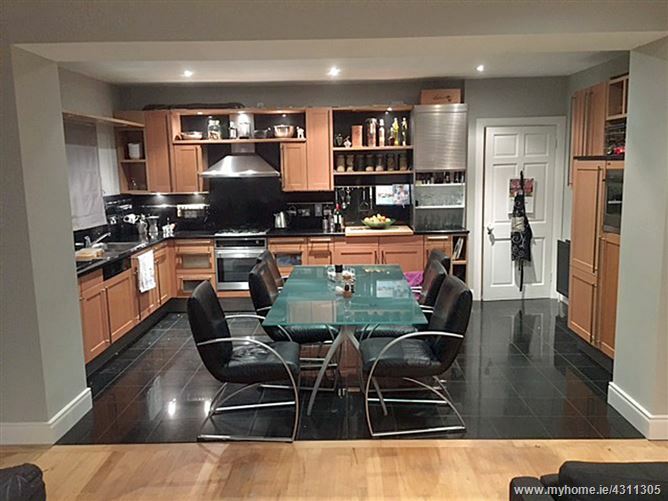 A contemporary spacious open plan family kitchen / living area includes a German Siematic shaker style kitchen with stainless steel appliances, black solid granite worktops and matching granite flooring. 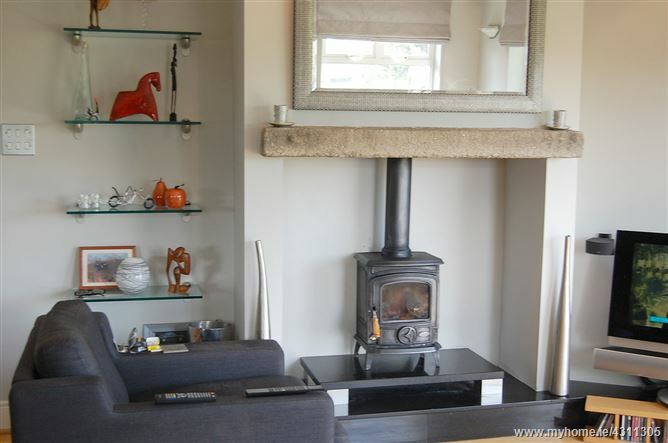 Maple flooring and a wood burning Stanley stove completes the living area. 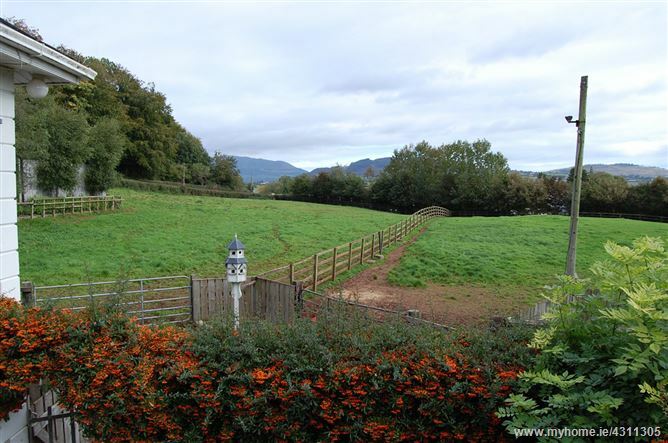 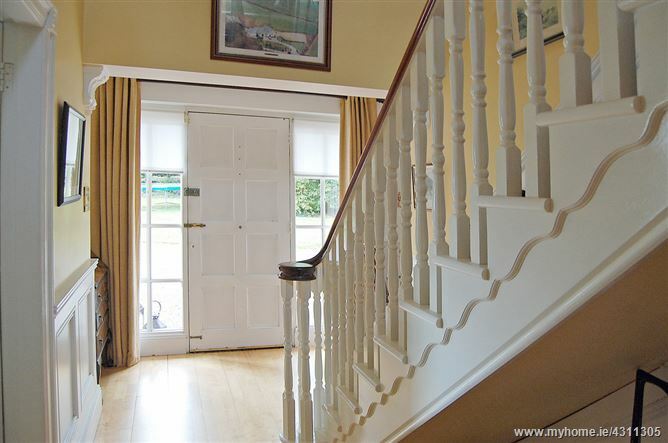 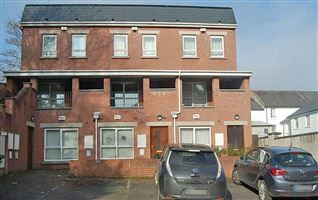 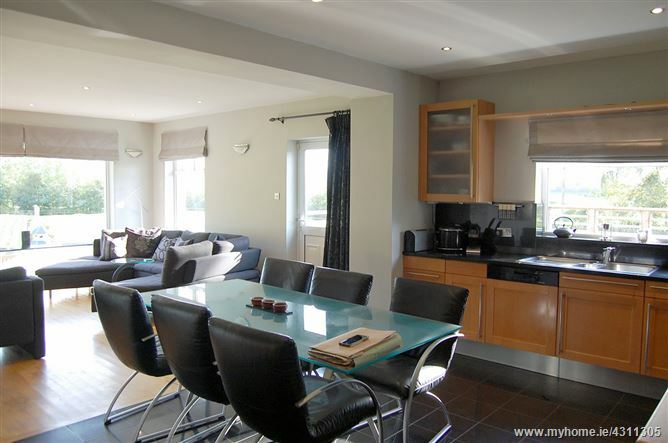 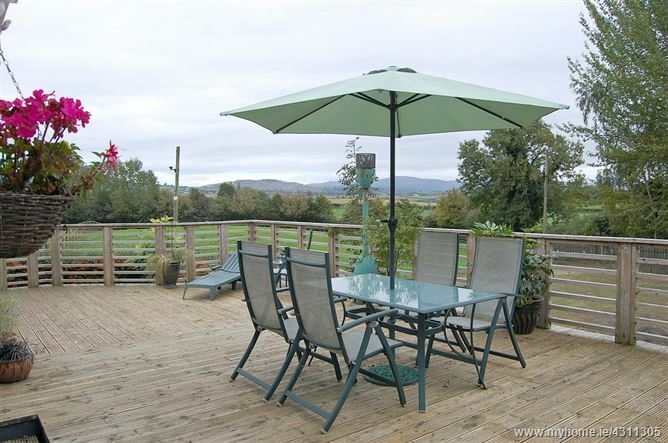 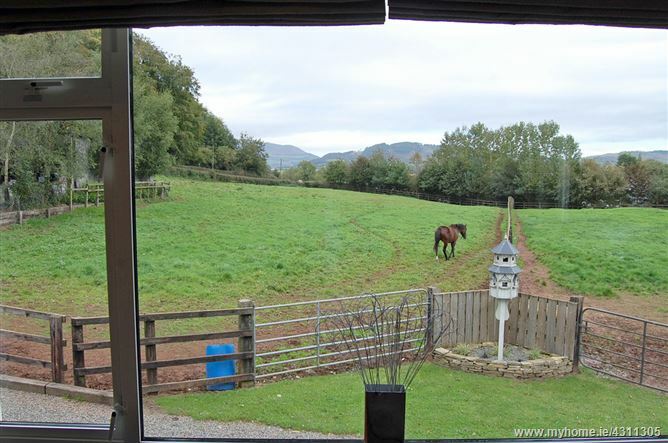 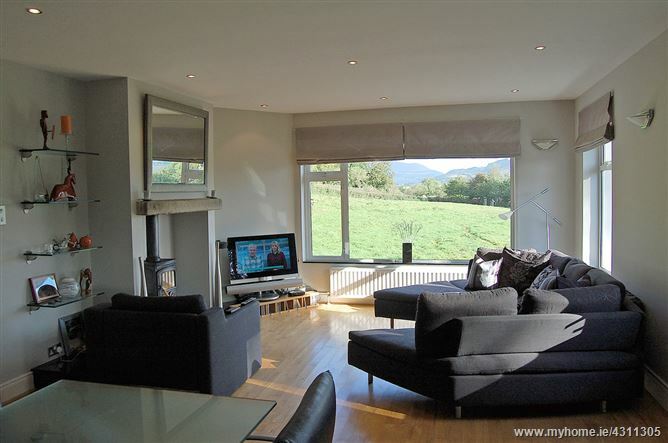 A large picture window in the living area enjoys beautiful views of Slieve Gullion. 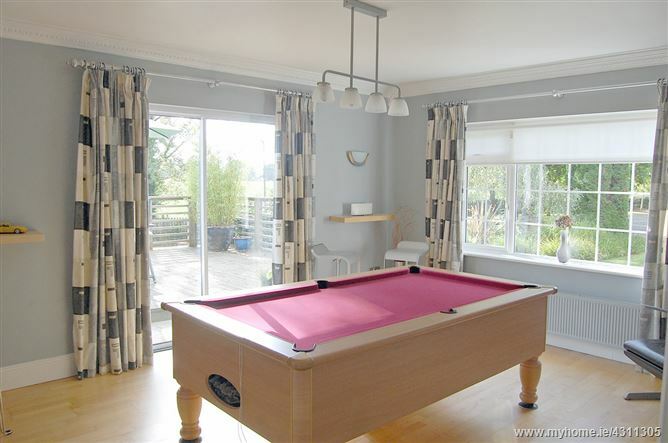 The decking can be accessed from both the Kitchen and via the patio doors in the adjoining pool/games room. 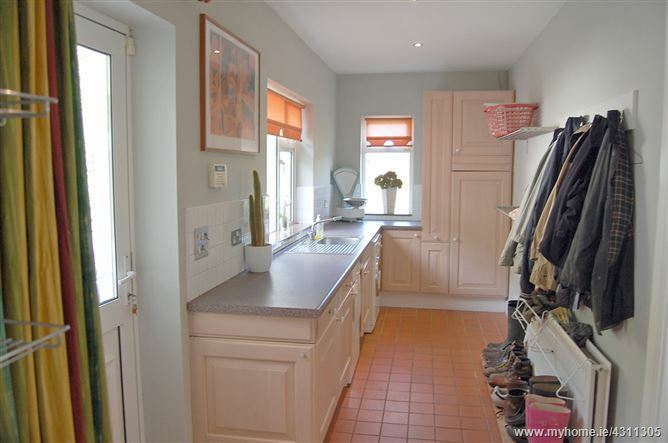 Utility room/boot room with w.c., terracotta flooring throughout. 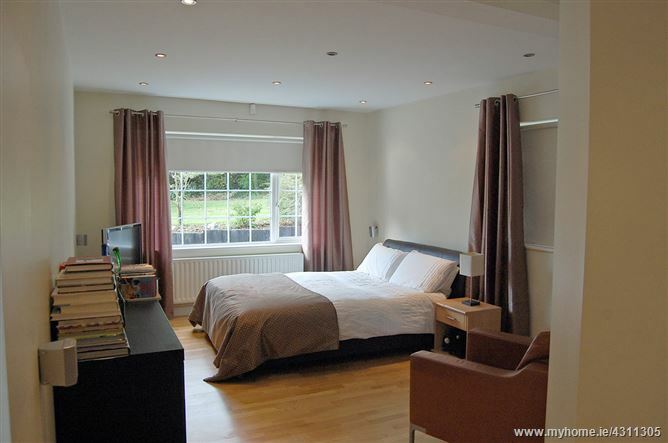 The large master bedroom has a dressing room and en-suite, bedroom 2 is also en-suite. 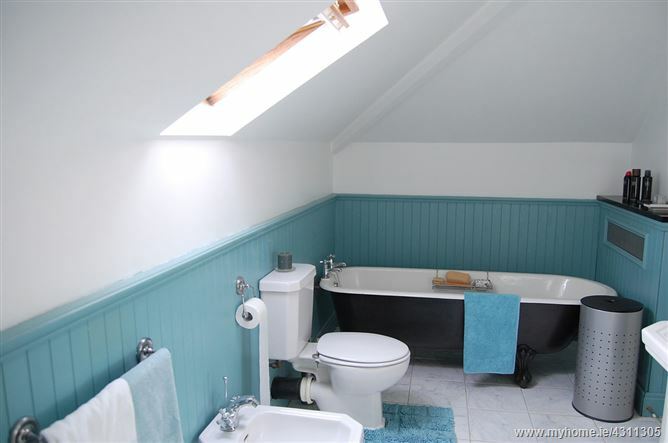 Study/office and a tasteful family bathroom with Jacuzzi bath and marble tiling on walls and floor. 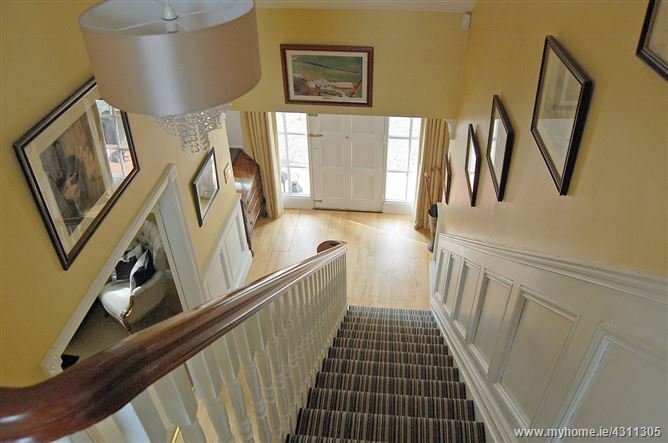 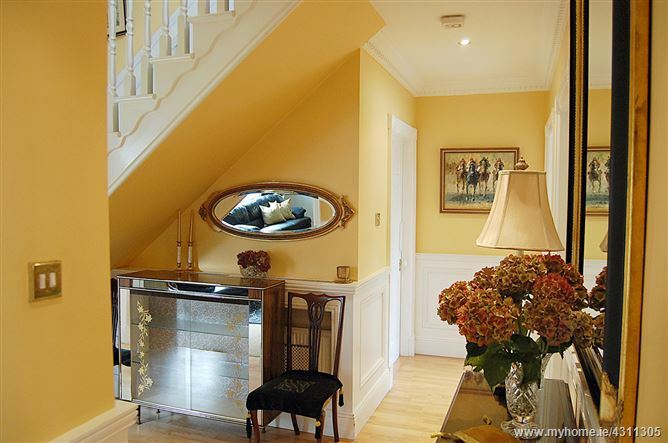 The beautiful staircase leads to a bright spacious landing with 2 generous upstairs dormer bedrooms, which are set either side of the landing, have custom fitted wardrobes. 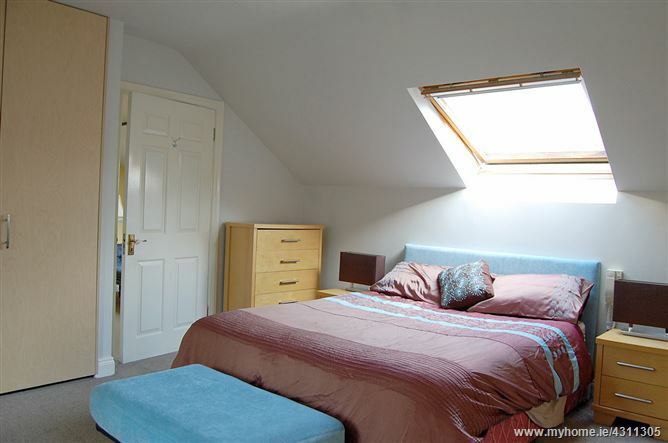 One bedroom has a wood panelled en-suite bathroom with feature bath, the other has a dressing area and en-suite with w.h.b and w.c. 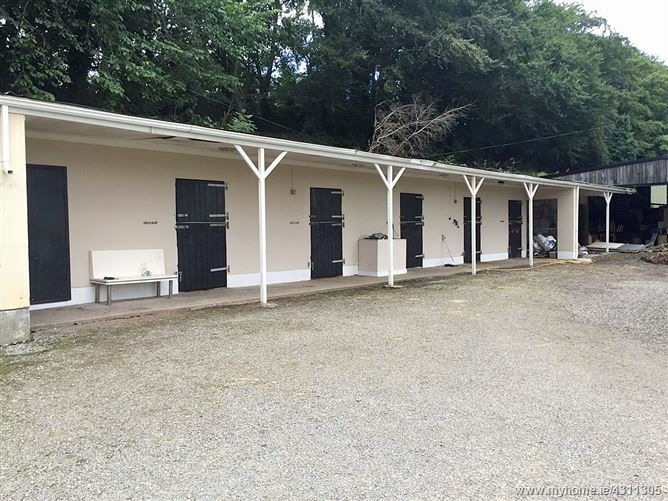 The exterior of the property includes a sand arena and 2 paddocks, a double garage, stables, storage and tack room. 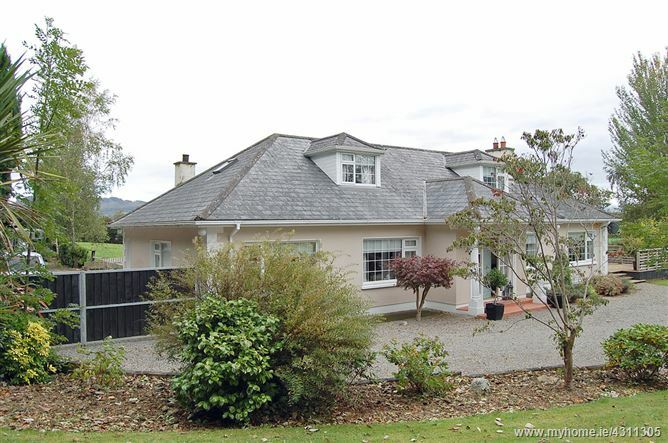 A large shed completes the external accommodation. 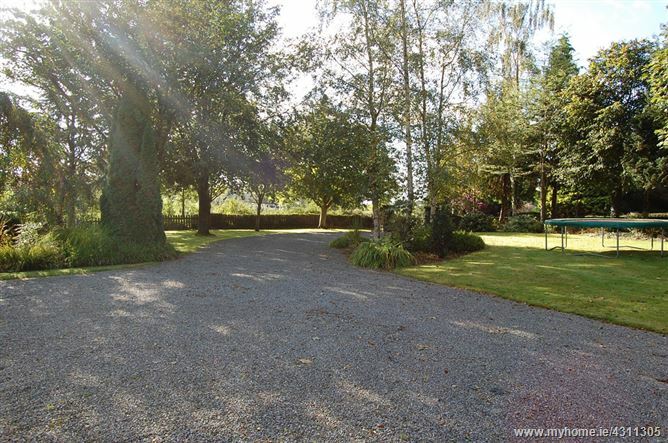 This impressive sheltered site extends to c.2.75 acres with lush mature lawns, a fish pond, upper and lower patio and decking areas. 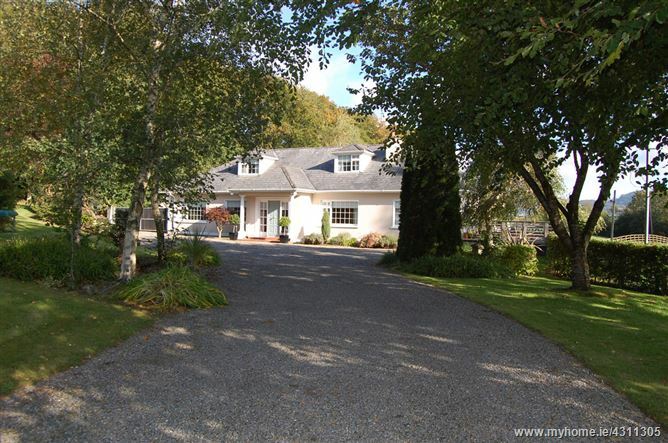 This amazing family home is a must view.